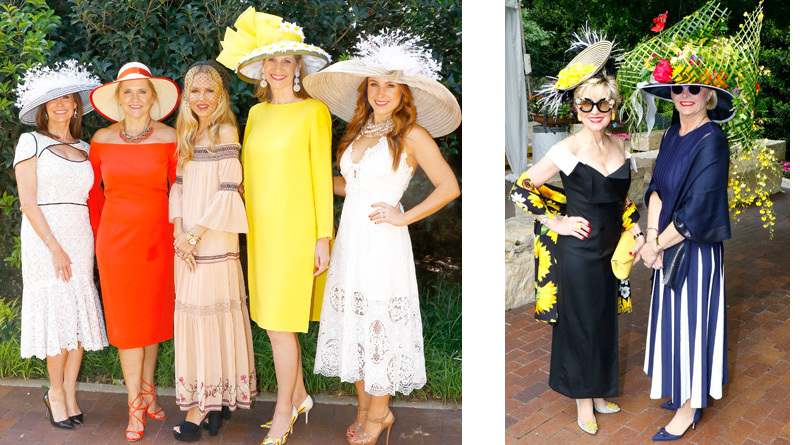 What a beautiful and glorious day it was at the Mad Hatter’s Tea Under the Tuscan Sun at the Dallas Arboretum last May. 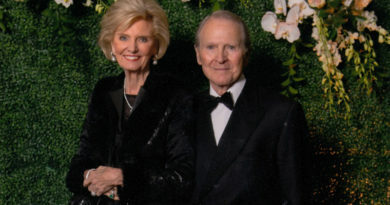 Celebrating its 29th year, this stylish and fashionable tea benefited the Women’s Council of the Dallas Arboretum and A Woman’s Garden, the only public garden in the nation inspired by women, funded by women and dedicated to the universal spirit of women. 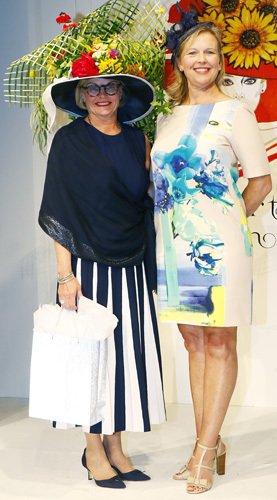 A sold-out crowd of almost 500 chic ladies dressed in stylish frocks, lovely and sophisticated hats and gents in their fancy duds – many of both in wild and wonderful over-the-top hats relating to everything Under the Tuscan Sun – joined with friends from Dallas and some traveling from Houston and more from as far away as New Zealand, who plan their trips to Dallas not only to take part in the Mad Hatter’s Tea, but to view the splendid springtime azalea displays and thousands of flowers in colorful bloom at the arboretum. Parking is at a premium. 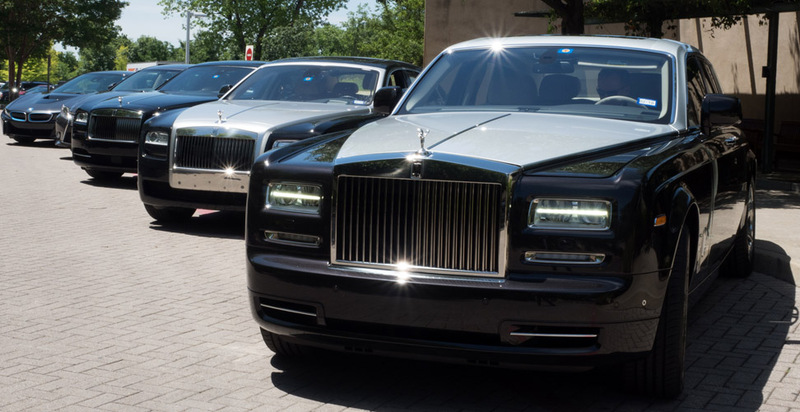 Valets have you covered. 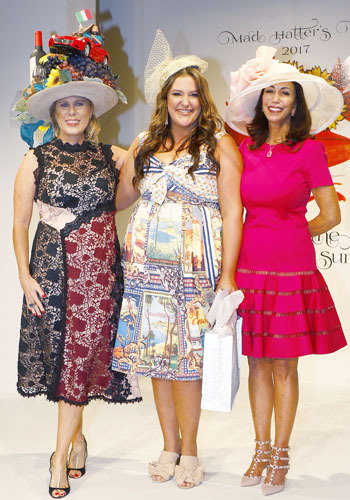 Chaired by Linda Spina with Sharla Bush as vice-chair and honorary chairs Amy Warren and her daughter Amanda Hill, the event began at 10:00 a.m. as limousines lined the parkway, ladies donned their hats and strolled the red carpet. 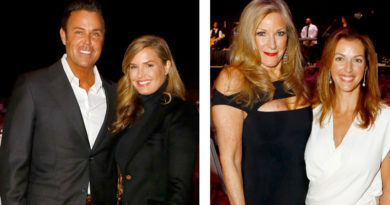 Women’s Council president Melissa Lewis greeted friends and supporters as bellinis and champagne were served and appetizers were passed while paparazzi snapped photos outside in the beautiful Ginsburg Plaza and hat judges marked their favorites. 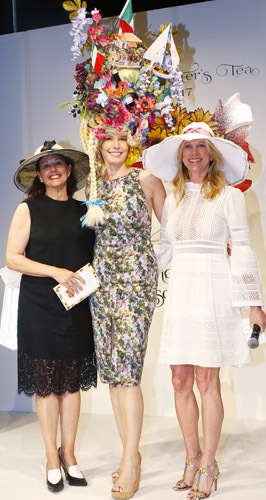 Celebrity guest and hat judge Rachel Zoe created quite a buzz, having flown in from Los Angeles and appeared with fashion show sponsor TOOTSIES friends Nerissa von Helpenstill and Dustin Holcomb. Rachel is an unparalleled fixture in the fashion world known for her unique take on effortless glamour, fashion stylist to the stars, clothes designer, author and editor of The Zoe Report. Team from TOOTSIES: : Dustin Holcomb, Elizabeth Scrivner, Betsy Gallagher, Rachel Zoe, Pat Cousin, Leah Little Hale, Nerissa von Helpenstill. Also penciling-in their favorite hats in special categories were judges Kori Green, jewelry designer, attorney and wife of country singer, Pat Green; Tara Green, president of Klyde Warren Park; Courtney Kerr, editor of KERRently, a fashion, beauty, interior design and travel blog; Caroline Kraddick, Kidd’s Kids CEO/Chief Happiness Officer of the Kraddick Foundation; Dallas-based fragrance designer Niven Morgan; Dallas’ own First Lady, Micki Rawlings, community leader, volunteer and wife of Mayor Mike Rawlings and the judges team of Tracy Rathbun and Lynae Fearing, Park Cities restauranteurs and owners of Shinsei and Lovers Seafood and Market. Mistress of Ceremonies and former Mad Hatter’s Tea chair Jocelyn White welcomed the crowd inside Rosine Hall as everyone was seated for the very chic fashion show spotlighting Rachel Zoe’s spring, pre-fall and fall fashions produced by the fabulous Jan Strimple. 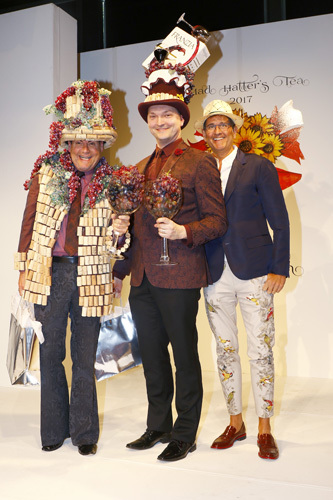 A spirited live auction featured a TOOTSIES shopping party, white topaz drop earrings with diamonds from deBoulle, a private cooking class for 12 at The Cookery, a land tour of Rome by Father Daniel Hennessy, International Director of the Patrons of the Arts in the Vatican Museum, custom millinery by Bay willow Design and winners of the “Box of Style” accessories donated by Rachel Zoe. 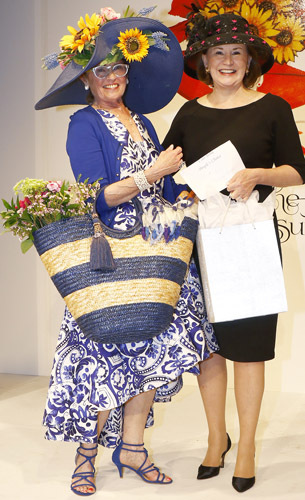 * Rachel’s Pick, Rachel Zoe’s favorite hat, the best of the best from her point of view, was presented to winner Amy Warren by Rachel Zoe, who was exuberant in her enthusiasm for the event and said she loves Texas! 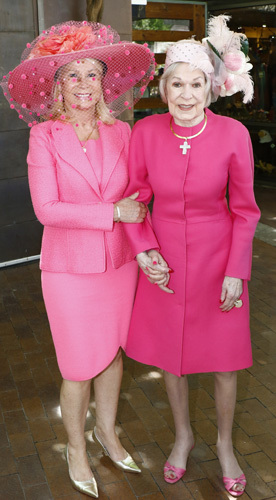 She had never experienced such a spirited and glamorous event. 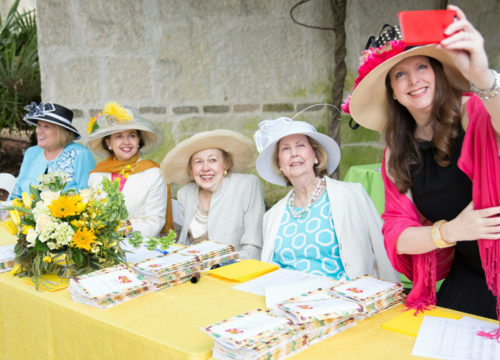 She thanked TOOTSIES for inviting her to Dallas for this most elegant and colorful Mad Hatter’s Tea and said she was honored to be a part of this celebration of spring. Luncheon was served plein air under canopies of elegantly draped white tents with tables swathed in flowing green silks and topped with huge luscious flower arrangements of tulips, hydrangea, roses, daisies and some even included lemon and ficus trees. Everyone lingered as they enjoyed the Italian-inspired menu from antipasti to dolce, from savory to sweet, and a most memorable, lovely day. 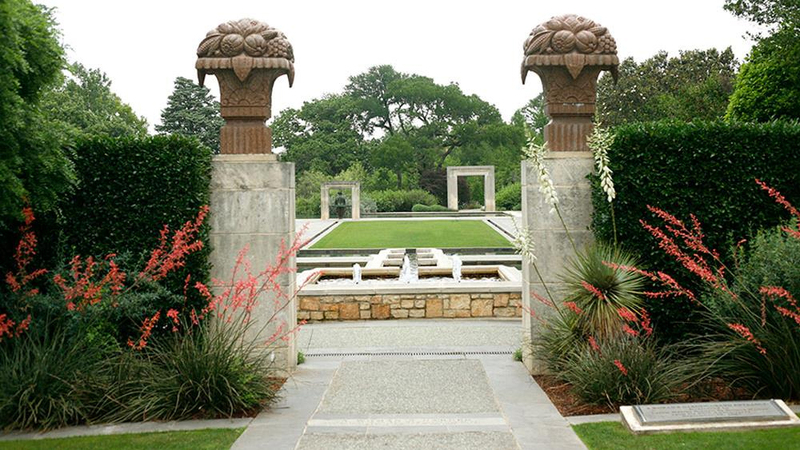 Since its inception in 1982, the Women’s Council of the Dallas Arboretum and Botanical Garden has supported the Dallas Arboretum. It is a group of over 500 strong who have a passion for nature, beauty and gardening. It supports A Woman’s Garden, the only public garden in the nation conceived by women, funded by the efforts of women, and dedicated to the universal spirit of women. The garden is maintained under the loving guidance of loyal members. 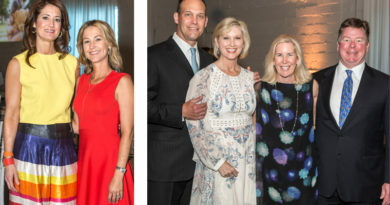 Major fundraising events include the Writer’s Garden Seminar in the fall and the signature fundraising event, the Mad Hatter’s Tea, held annually at the Arboretum in April. * Photos by Dana Driensky, Daniel Driensky, official Mad Hatter’s Tea photographers and contributing photographer, Danny Campbell. News about the 2018 Mad Hatter’s Tea will be revealed in November 2017. Stay tuned! Entrance to A Woman’s Garden, endowed by the Women’s Council of the Dallas Arboretum and Botanical Garden and beneficiary of the Mad Hatter’s Tea. 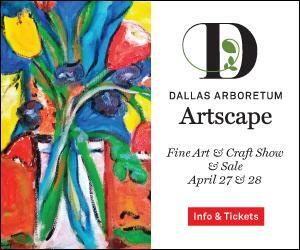 Photo courtesy the Dallas Arboretum and Botanical Garden. ← See Aaron Watson Perform Live and Enter To Win a 2017 GMC Canyon sponsored by Sewell Automotive Companies benefiting Mercury One’s M1Ball American Cowboy | History. Heritage. Humanity.